Dogs are known to be excited and playful creatures. 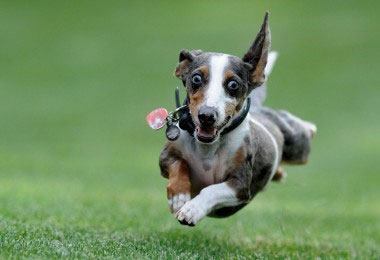 However, some dogs go overboard in terms of excitement, causing them to exhibit hyper behavior. While this can be great in some instances, it can quickly become an issue if hyperactive behavior becomes persistent. Hyper dogs can be difficult to control regardless of the amount of training they have. In most cases, overly-excited behavior comes from simple boredom. When dogs go through periods without stimulation or socialization, those moments that break the monotony are exciting for them. Other times, the hyper behavior is caused by a deeper emotional issue like stress and anxiety. Luckily, there are ways to keep even the most hyper dog calm. Owners should pay attention to how they interact with their dog and how much stimulation they receive on a daily basis. One of the easiest ways to calm down a hyper dog is to simply ignore them. Excited behavior is often a way to get attention. While it can be difficult to ignore a dog that is running around and barking, it's best to pretend they aren't even there. This includes not making eye contact with the dog. When they see that their tactics for getting attention aren't working, they'll likely stop the behavior and calm down. Dogs that lack stimulation often go crazy when they finally get to do something. This includes both mental and physical stimulation. If the dog is going wild, they can benefit from a mental and physical distraction. Giving the dog a simple task to focus on will allow them to focus their energy elsewhere. For example, wearing a backpack around and following commands will keep them focused while giving them a way to get rid of that built up energy. You may realize that your furry friend becomes hyper when you get home from work. This is because the dog has a ton of built-up energy from simply lying around all day. Once you get home, this energy takes over. Instead of allowing them to run around the house, go for a rigorous walk. They'll benefit from the exercise and owners can control how they use this energy. After a long walk, they'll be calm, tired, and ready for a nap. While most don't realize it, dogs can pick up on human emotions very well. They'll often reflect their owner's temperament with subtle cues. If you're in a calm and assertive mood, the dog will mimic the behavior. If you're stressed, your pooch will likely become so as well. When the dog starts to exhibit hyper behavior, it's a good idea to take a step back and assess your own behavior. Staying calm and putting out a confident and relaxed demeanor will show the dog to do the same. A dog's most important asset is their sense of smell. They explore the world with their noses and can pick up a lot more than us humans do. Aromatherapy is a great way to influence a dog's behavior. The practice works the way it does for humans. Certain smells can have a soothing effect on dogs. Veterinarians and holistic professionals can guide you in the right direction in terms of scents and dispersal methods. When changes in activity levels and interaction doesn't work, it may be time to consider medication. A variety of medications can be used to influence a dog's behavior. They are effective in most dogs and can do wonders if used correctly. Veterinarians will examine the dog and work with owners to better understand the cause of the behavior. 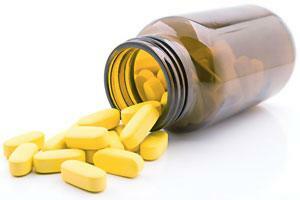 Different types of medication are used for very particular types of hyperactivity. For example, dogs acting out because of anxiety will need a different type of treatment compared to those becoming hyperactive because of loneliness. Better known by its brand name Elavil, this medication is primarily used to treat dogs with anxiety from separation issues. Many dogs experience separation anxiety when they are not near their owners for a long period of time. This can be problematic for owners that work full time. The medication is known to treat anxiety and stress in both cats and dogs. 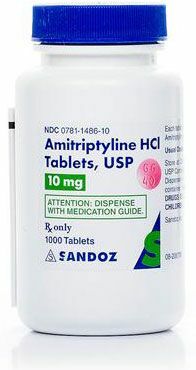 Fluoxetine is a common medication used to treat aggressive dogs that may be experiencing tremendous stress and anxiety. It's frequently used among rescue dogs that exhibit potentially dangerous behavior. Also known as its brand name of Prozac, the medication is a serotonin reuptake inhibitor. It helps regulate mood swings, resulting in a happier and healthier dog. The previous two medications are all options that will have a great effect in the long run. To see results, dogs need to be on them for a very long time. 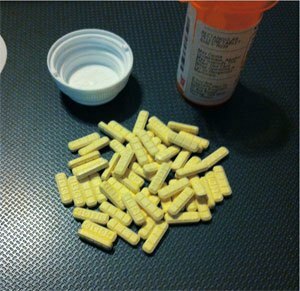 With benzodiazepines, dogs don't need to take them continually. These medications are fast-acting and primarily used to keep a dog calm for a particular event. They can be used to help dogs overcome trips to the vet or to face a phobia. The effects are only temporary and go away within a few hours. Natural methods are a great alternative to medication. They are usually cheaper and easier to get access to. Not only that but they tend to be safer on all dogs with little to no side effects. 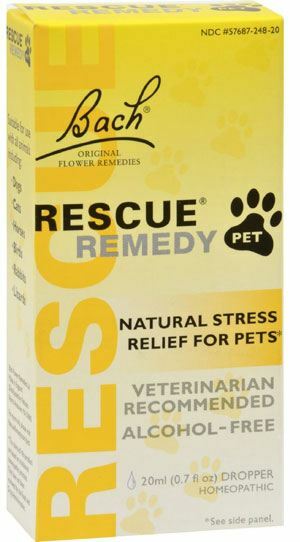 This natural supplement from Bach is designed to calm a dog down very quickly. Made from pure herbal extracts, the supplement is completely safe for any dog. It's perfect for overcoming situations that may cause anxiety. It takes effect very quickly and wears off after some time. 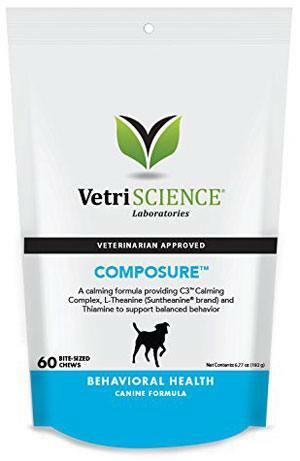 This natural supplement from VetriScience comes in the form of a soft chew. It's completely safe and very appetizing. The main ingredient is L-Theanine, which helps to keep pups calm without making them drowsy. It's a good option to have on hand for dogs that experience anxiety when getting into the car or experiencing new environments. This liquid calming aid is great for any kind of dog stress and anxiety. However, it's especially effective for dogs experiencing separation anxiety. The liquid supplement absorbs quickly for fast results. It contains a bevy of effective ingredients, including chamomile and tryptophan. These ingredients are known for reducing aggressive behavior and promoting relaxation. Managing your dog's hyperactivity doesn't have to be difficult. It's important to understand why the dog is acting the way they are to better help them. With this information in mind, it's easy to make changes or get professional help that will keep the dog calm and healthy. Also Read: How to Calm a Dog in Heat?